The District’s ability to pay down the debt on the publicly financed ballpark depends in part on the number of people who show up to the games, David Catania, independent at-large, wrote in a letter Tuesday to Chief Financial Officer Natwar Gandhi. A study was commissioned in 2005 by Gandhi’s office. Written by Los Angeles-based Economics Research Associates, the report predicted attendance at the 41,000-seat ballpark would average 39,130 in year one, dropping to 32,737 in year four. But paid attendance through 28 games has averaged only 29,141, Catania said, 26 percent lower than the consultant’s estimates. The Nationals are drawing the 15th-best crowd in baseball, according to ESPN, with a team that is in last place in the National League East and a 22-31 record as of Wednesday. Gandhi says it doesn’t matter, the bonds can be paid off with attendance as low as 10,000 per game. Which raises the question: if it’s that easy to pay for the stadium, why didn’t the multi-millionaire team owners agree to pay for it themselves? And yet millionaire owners and mayors with Edifice Complexes keep commissioning these studies, and council members and editorial boards keep falling for them. Good-looking congressman in his mid-40s, married with two young children, known for his inspirational speeches, comes from far behind to clinch the Democratic nomination and face an older, more experienced centrist Republican. If he wins, he’s America’s first non-Caucasian president. Obama vs. McCain. But also “West Wing’s” Rep. Matthew Santos (Jimmy Smits) vs. Sen. Arnold Vinick (Alan Alda). Funt writes that the “West Wing” writers were in touch with Obama strategist David Axelrod as they created the Santos character, who was sort of a “test market” to “soften up millions of Americans for the task of electing the first minority president.” And he notes that Obama’s staffers “especially like the ending” of the “West Wing” plot, in which Santos narrowly defeats Vinick. The high point of the “West Wing” campaign was a debate that broke the rules of both presidential debates and television drama: The “candidates” threw out the usual formal debate rules and just questioned each other, and the actors improvised their questions and answers from a partially written script. They actually did two live performances that night, for the East Coast and the West Coast. I don’t trust politicians to choose the right new energy sources. I believe in the free market. You know, the government didn’t switch us from whale oil to the oil found under the ground. The market did that. And the government didn’t make the Prius the hottest selling car in Hollywood. That was the market that did that. In L.A. now, the coolest thing you can drive is a hybrid. Well, if that’s what the free market can do in the most car-crazed culture on Earth, then I trust the free market to solve our energy problems. You know, you know, the market can change the way we think. It can change what we want. Government can’t do that. That’s why the market has always been a better problem-solver than government and it always will be. Matt has more confidence in government than I do. I have more confidence in freedom — your freedom; your freedom to choose your child’s school, your freedom to choose the car or truck that’s right for you and your family, your freedom to spend or save your hard-earned money instead of having the government spend it for you. I’m not anti-government. I just don’t want any more government than we can afford. We don’t want government doing things it doesn’t know how to do or doing things the private sector does better or throwing more money at failed programs because that’s exactly what makes people lose faith in government. And after the debate, a Zogby poll found that even among the young, liberal-skewing viewers of “The West Wing,” Vinick had crushed Santos. Before the episode, viewers between 18 and 29 preferred Santos over Vinick, 54 percent to 37 percent. But after the debate, Vinick led among viewers under age 30, 56 percent to 42 percent. McCain could only dream of such numbers. Or maybe he should try sounding like Arnie Vinick. “West Wing” producers were taken aback by the reactions of real live “voters” to their real live debate. After seven years of heroically portraying the honest, decent, liberal President Jed Bartlet–an idealized Bill Clinton who wouldn’t take off his coat, much less his pants, in the Oval Office–they weren’t about to let a crotchety old Republican beat their handsome Hispanic hero. So they conjured up a meltdown in a nuclear power plant that Vinick had supported, and Santos won the election. If only the Republicans could nominate Arnie Vinick, and avoid an actual nuclear meltdown for the next six months, they might disrupt Peter Funt’s life-imitates-art speculations. But the writers–this time Obama’s fans in the mainstream media–might still insist on their own interpretation. The Libertarian Party is meeting in Denver to nominate a presidential candidate. Vying for the nomination are a former Democratic senator, a former Republican congressman, the author of the book Millionaire Republican, and a number of long-time party activists. The party’s most successful presidential candidate was Ed Clark, who got 921,000 votes, about 1.1 percent, in 1980. Since then LP candidates have hovered around 400,000 votes. Ron Paul’s surprising campaign this year and the increasing evidence about libertarian voters have generated more interest in the Libertarian Party nomination than usual, as witness the large and broad field of candidates. Libertarian voters have been more willing than other voters to vote for third-party candidates. 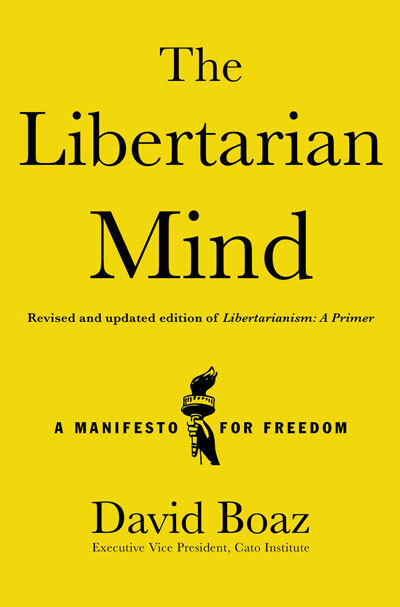 In Beyond Liberal and Conservative, William S. Maddox and Stuart A. Lilie found that libertarians gave 17 percent of their votes to “other” candidates in 1980, presumably independent John B. Anderson and Libertarian Clark, though Clark and Anderson received only about 8 percent of the national total. In 1992 libertarians gave Ross Perot 33 percent, knocking George H. W. Bush from 74 percent of the libertarian vote in 1988 to 35 percent in 1992. Again in 1996, libertarians voted more heavily for Perot (13 percent) than did the national electorate (8 percent). So libertarian-leaning voters seem open to voting for third-party candidates, and thus they should be fertile ground for the Libertarian Party. British Prime Minister Gordon Brown is a serious, wonkish, deeply religious socialist who believes passionately in the power of government to do good for people — much like Hillary Clinton. For a decade or so he subordinated his own ambition for the top job, serving as a partner and adviser to a more charismatic political leader who reached the brass ring first — much like Hillary Clinton. Finally, Tony Blair’s term ended and Brown got the big job. And he’s tanking. His approval rating (17 percent) is so low, he’s asking Bush for PR tips. The Labour Party not only lost the London mayor’s race, it just lost a seat in Parliament that it had held since World War II. No wonder Rush Limbaugh was urging Republicans to vote for Hillary Clinton in the Democratic primaries. She delivered Congress to the Republicans once before, in 1994. And if she is indeed a lot like Gordon Brown, she could do it again. Lorraine A. Voles, until recently communications director for the congressional office of Sen. Hillary Rodham Clinton (D-N.Y.), has joined Fannie Mae as a senior vice president.The move is a reunion of sorts. Voles, who was communications director to Al Gore when he was vice president, worked previously at the public relations firm Porter Novelli. There, her boss was Charles V. Greener, who is now Voles’s boss at Fannie Mae.Greener had been the mortgage finance giant’s senior vice president in charge of communications and is now chief of staff to Fannie Mae chief executive Daniel H. Mudd. Voles is taking his old job. Before he joined Porter Novelli, Greener was a spokesman for the Republican National Committee. That’s right: A former mouthpiece for Clinton and Gore is working quite happily for a former GOP spokesman — for a second time. Only in Washington. One big happy family here in the Imperial City. Those who are paid to fight the red-blue wars, fight. Those who are paid to lobby both sides against the taxpayers, lobby. And as the McCain campaign is demonstrating, the most effective players can switch roles on a moment’s notice. It’s relevant to note that Ms. Voles and Mr. Greener are now working for Fannie Mae, one of the most skilled rent-seekers in Washington and a pioneer in hiring top players from both parties. As a Cato study noted a few years ago, “The special governmental links that apply to Fannie Mae and Freddie Mac yield little that is socially beneficial, while creating significant potential social costs.” And as an earlier Cato study (by financial analyst Vern McKinley, now a candidate for Congress) noted, “Fannie Mae and Freddie Mac preserve their privileged status through a multi-million-dollar lobbying effort that includes massive ’soft money’ campaign contributions and the payment of exorbitant salaries to politically connected executives and lobbyists.” Ten years later, that’s still the bottom line. But that isn’t true. As the story itself (and the online headline) correctly said, Sen. Barack Obama is now “claiming a majority of the pledged delegates at stake.” His campaign is doing a great job of getting the media to declare that a “milestone” and a “major victory.” But in fact it tells us nothing we didn’t know already: Obama is ahead of Sen. Hillary Clinton in the race, and it seems impossible for Clinton to catch up. But “a majority of the pledged delegates” is virtually meaningless. There are several kinds of delegates that make up the convention, and you have to get a majority of all the delegates. “A majority of the pledged delegates” is no more relevant than Obama claiming “a majority of the delegates from coastal states” or Clinton claiming “a majority of the white delegates.” (I don’t actually know if either candidate has those majorities.) When Obama produces a list of 2025 delegates pledged to vote for him, it will be time for the Post to drag today’s headline out again. Nothing to see here, folks. Move along. Just a little campaign bombast. So, you think this is just about the burgers, huh? Let me tell you, it’s about far more than that. Our parents came to this country, escaping persecution, poverty and hunger. Hunger, Harold. They were very, very hungry. They wanted to live in a land that treated them as equals, a land filled with hamburger stands. And not just one type of hamburger, okay? Hundreds of types with different sizes, toppings, and condiments. That land was America! America, Harold! America! Now this is about achieving what our parents set out for. This is about the pursuit of happiness. This night . . . is about the American Dream! Dude, we can stay here, get arrested, and end our hopes of ever going to White Castle. Or, we can take that hang glider and make our leap towards freedom. I leave the decision up to you. Escaping persecution, poverty and hunger . . . to find ample food and unlimited choices . . . the pursuit of happiness . . . the American Dream. Yes, I think writers Jon Hurwitz and Hayden Schlossberg were on to something. Hey, I’m in the government, and I don’t even trust it. You don’t have to trust your government to be a patriot. You just have to trust your country. Harold & Kumar: more wisdom than a month of right-wing talk radio. Hurwitz and Schlossberg get what America is about.